The lake just keeps giving great conditions. 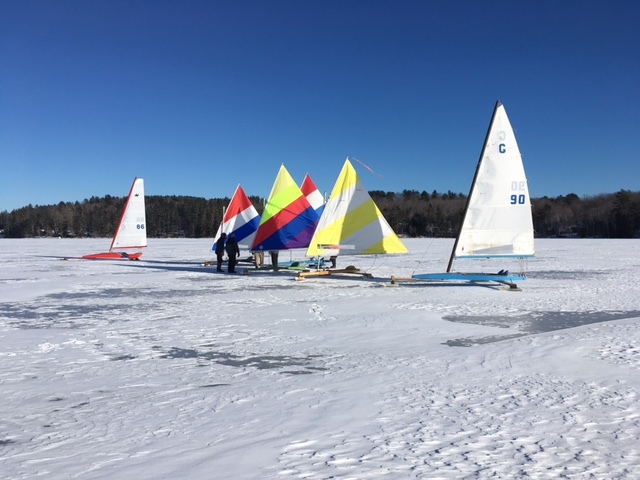 Eleven boats braved the conditions with well bundled and foot warmered skippers. The Lambs did the lake top to bottom, through the narrows, a couple of times at full speed. With full size rigs in full size wind one can imagine the speed. Steve’s boat developed small stress cracks in the deck. Cheapskates were out in force, their tiny 1/8″ runners slicing the thin snow nicely. Even with regular plates, the dry snow didn’t bother much. 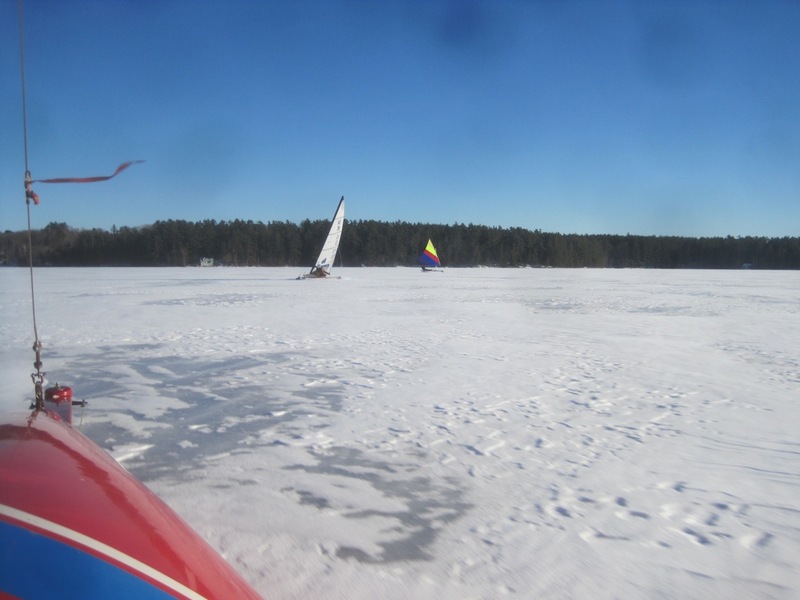 It was great fun following behind other boats and watching the great trails of spiraling snow trailing off the stern.